Click here to visit the Nine West facebook and like them. 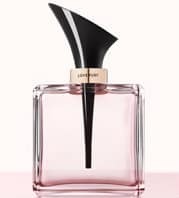 Then on the “Fragrance Tab,” scroll down a bit and click “Enter Now” under where it says “Love Fury sampling.” Then just fill out the form to request your free sample. would like to try it..
i love to try new things.perfumeis part of getting. I hope I get to try it. I’m happy someone posted this on facebook.